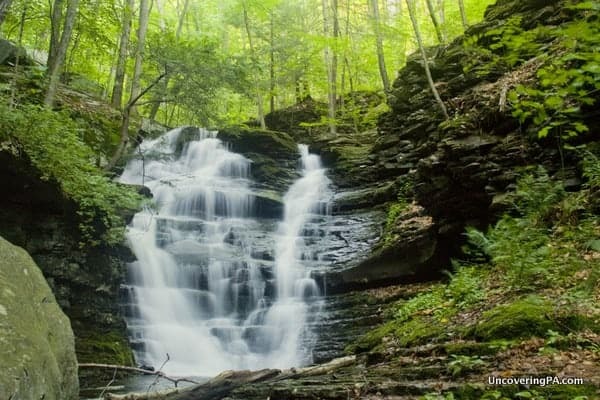 Hidden deep within the confines of Loyalsock State Forest is an area full of hidden waterfalls, beautiful streams, and tranquil forests. This area, known as the McIntyre Wild Area, sits just outside of Ralston, a small settlement 30 minutes north of Williamsport. 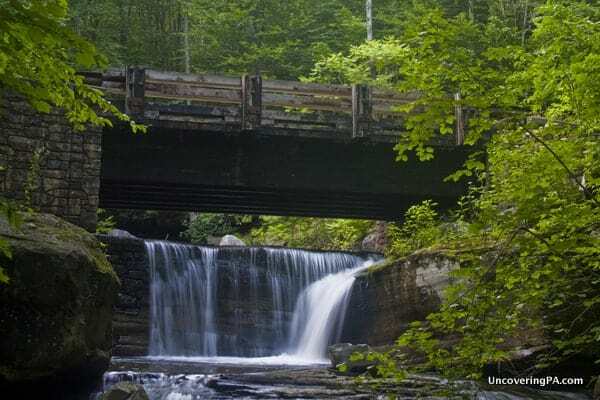 There are many streams worth exploring in this area, but one of the best is Miners Run. 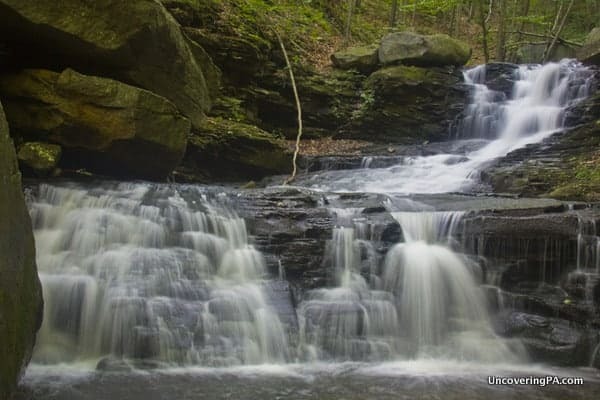 There are at least seven waterfalls on Miners Run. Of these, six are upstream of the bridge that carries on Rock Run Road over the creek, and one is just downstream. 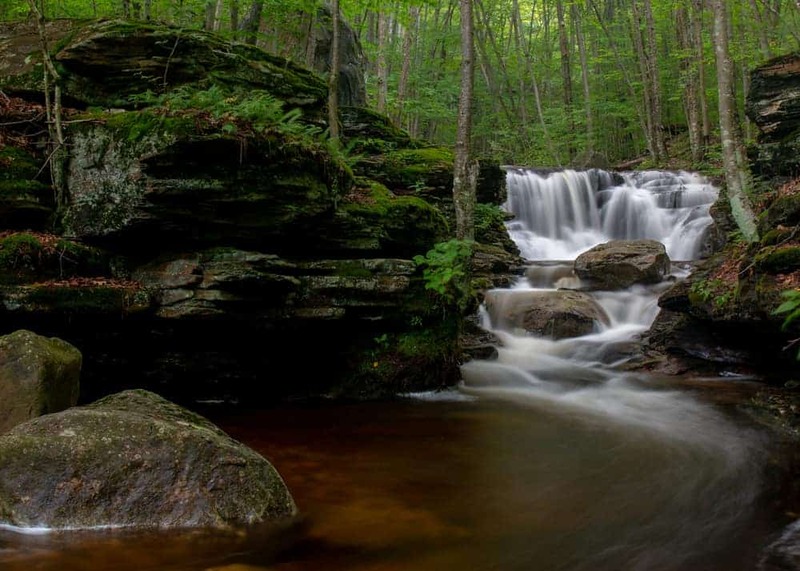 These seven waterfall all occur within less than half a mile of the road, making Miners Run a great option for those looking for a little off-trail hiking. 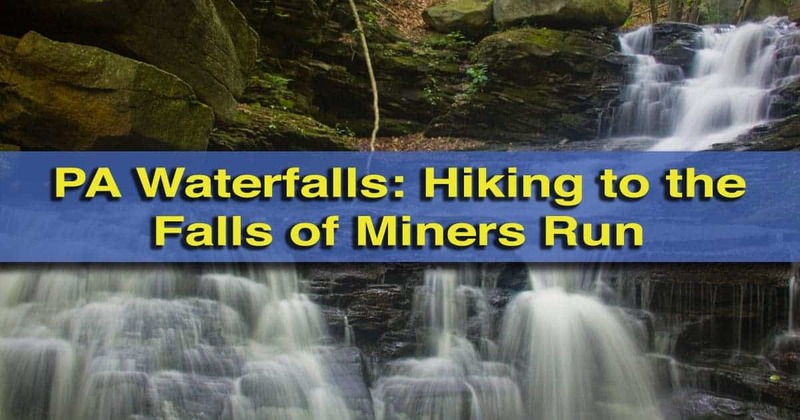 That’s right, there is no trail that will take you up Miners Run, meaning a trip to see the waterfalls on the creek requires hiking directly up the creek. Fortunately, the creek is shallow and fairly easy to navigate, even during times of relatively high water. However, shoes that have excellent traction and can get wet are very important. The first waterfall on Miners Run can be seen from Rock Run Road. 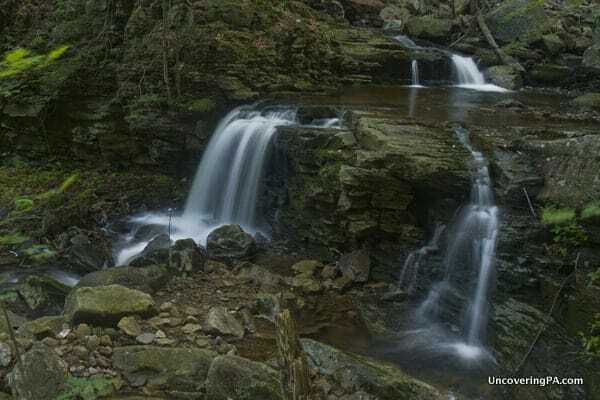 The first waterfall above Rock Run Road can be seen from the road and is relatively easy to visit as there is a bit of a worn path to the top of the falls. Even if you aren’t able to hike the rest of the way up Miners Run, this 10-12 foot tall waterfall is well-worth checking out. Shortly after the first waterfall, you will have to choose between some serious bushwhacking or hiking in the creek. I always choose to hike the creek where possible, as I try to avoid ticks and snakes as much as possible. Whatever you decide to do, you will be doing a fair amount of both during your hike up Miners Run. The second waterfall is another smaller waterfall, but is still quite scenic. 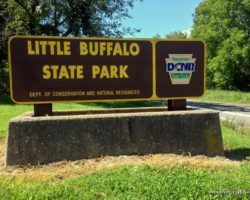 It’s worth noting at this point, that even though you are only hiking about 4/10 of a mile up Miners Run, the hike will seem much longer than this because of the uneven terrain. 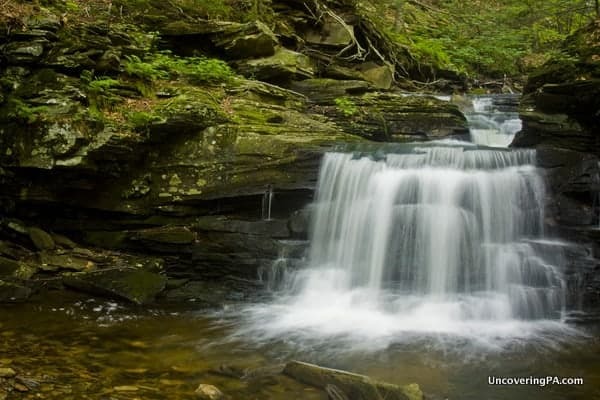 Don’t be surprised if you hike for 5 minutes or more without seeing a waterfall. The second waterfall on Miners Run is small, but quite beautiful. Moving on, the third waterfall is the first of two large waterfalls along the creek. The two tiers make this one hard to estimate, but I would guess that they combine to make this waterfall 20-25 feet tall. Waterfalls like this one are what make these off-trail hikes worth it in my opinion. It’s really amazing to think of how many people visit nearby Rock Run and have no idea that such a wonderful collection of waterfalls exist. The third waterfall on Miners Run is one of two large waterfalls you’ll encounter on the hike. To get around the third waterfall on the creek, you’ll have no choice but to climb the bank along the creek’s edges. Always use caution when doing this, as the sides of Miners Run can be quite slippery and deceptively steep. The next waterfall that you’ll encounter isn’t often counted as a waterfall in the official tally (which is why I said there are “at least” seven waterfalls on this creek). That’s because, while this small waterfall is pretty, it is overshadowed by the large balancing rock in front of it. It may be hard to tell in the photo, but the opening below the rock is at least four feet tall. This rock feature is just one more reason why Miners Run is such a special creek to visit. 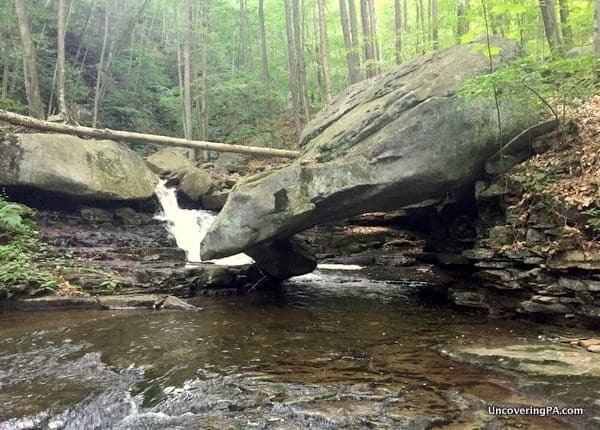 The very cool balancing rock on Miners Run has a small waterfall directly behind it. The fourth waterfall on the creek is another small one, but is still worth taking some time to enjoy. You may have noticed that I’m referring to the waterfalls with numbers instead of names. That’s because, to my knowledge, they don’t have official names. 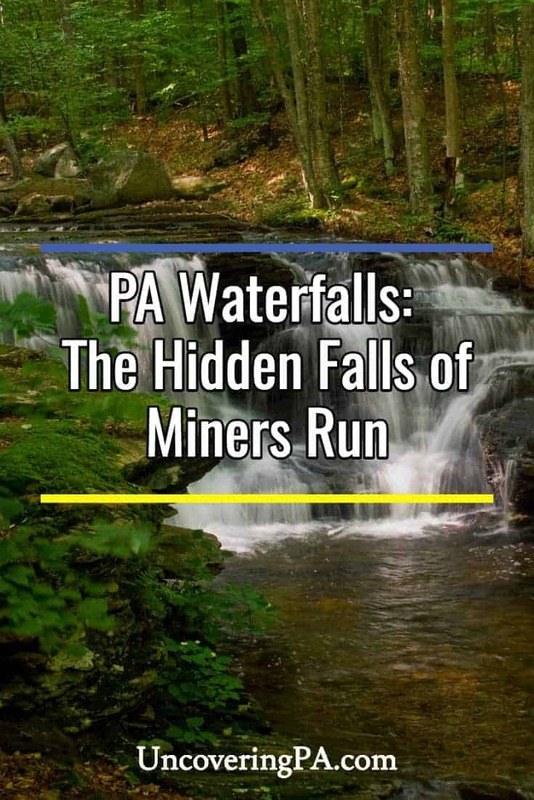 That being said, I have seen the first waterfall I mentioned called “Miners Run Falls” in the book “Pennsylvania Waterfalls” by Scott Brown. However, I’m thinking that he calls it that because he doesn’t include the creeks other waterfalls in his book. The fourth waterfall on Miners Run. The fifth waterfall on Miners Run is easily the most impressive on the creek. This double-tiered waterfall is at least 40 feet tall and is very impressive to look at. There is no doubt that this would be a very popular waterfall if a trail was ever built to it. Because there is a bit of separation between the two tiers here, I’ve seen some that consider this to be two separate falls, but I’ll go with the overall consensus and call this one very tall waterfall. The lower half of the fifth waterfall on Miners Run. This is the largest waterfall on the hike. Getting around this waterfall is the most difficult and dangerous part of the hike. The creek’s banks are very steep at the bottom of this waterfall, and it requires very careful maneuvering to get around the waterfall. I’ve been told by others that it is possible to get to the top of the first tier for a better view of the upper part of this waterfall, but I elected to go around out of an abundance of caution. Both tiers of the fifth waterfall as seen from the hillside. The last waterfall on Miners Run is, in my opinion, the least photogenic of the group. However, it is still worth seeing, especially if you’ve made it this far. At this point, Miners Run is relatively wide, but water typically only flows off the right side of the creek here. While this is taller than some of the other falls on the creek, it seems a bit anti-climatic after the last waterfall. The last waterfall on Miners Run has a different look than the other waterfalls on the creek. From here, it’s time to head back down Miners Run. 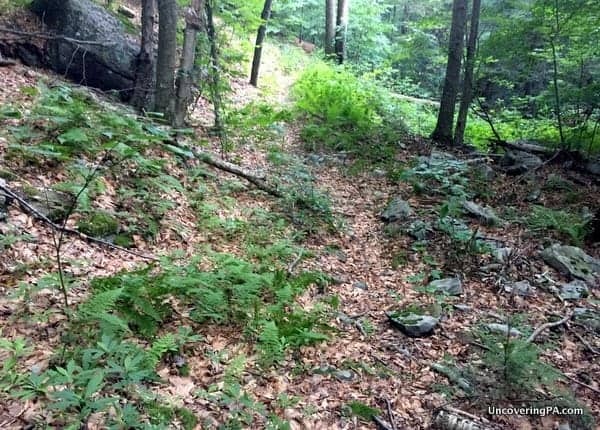 While facing upstream, you should be able to make out a faint, but obvious trail to your right. This trail follows an old grade along Miners Run. While it does climb high above the creek, it rarely is far enough away that you can’t see or hear the water below. Miners Run Trail is overgrown, but easy enough to follow as it goes along the ridge line back to Rock Run Road. This trail is actually on the Loyalsock State Forest Map as Miners Run Trail. However, it is very overgrown. Nevertheless, it is easy enough to follow, even through a few dozen yards of very, very overgrown laurel. The trails route along the ridge line means that it only accesses the last waterfall on the creek, so it’s not worth trying to find this trail to head up Miners Run. Once you get back to Rock Run Road, it’s worth taking a few minutes to check out the small waterfall downstream of the bridge. While this waterfall is only a few feet high, it’s location close to the road and the scenic bridge in the background make this worth visiting, as it is quite photogenic. 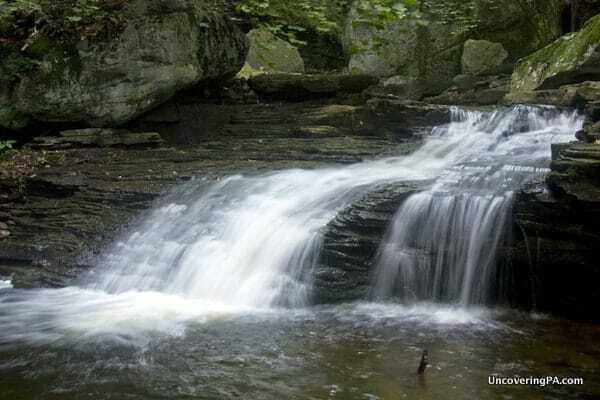 There is one waterfall on Miners Run directory below the Rock Run Road Bridge. 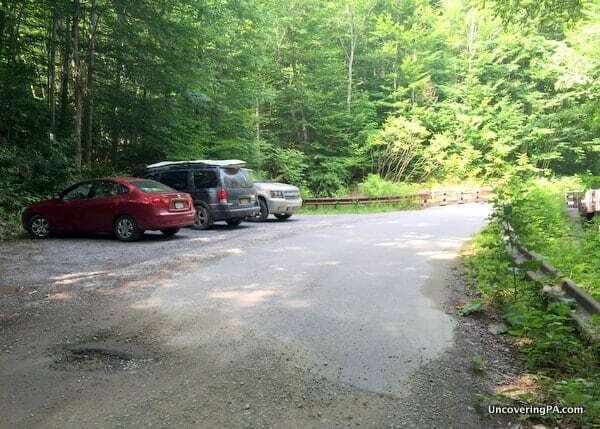 To access the waterfalls on Miners Run, park at the first bridge you come to on Rock Run Road (assuming you are coming from Ralston and Route 14). If you are coming the other way, this will be the second bridge after crossing over Rock Run and turning onto Rock Run Road. The bridge is approximately 2.2 miles after you cross Lycoming Creek after leaving Ralston. Another look at the first waterfall on Miners Run. There is a parking area large enough for a handful of cars right next to the bridge. The coordinates for this parking area are: 41.515884, -76.916664. 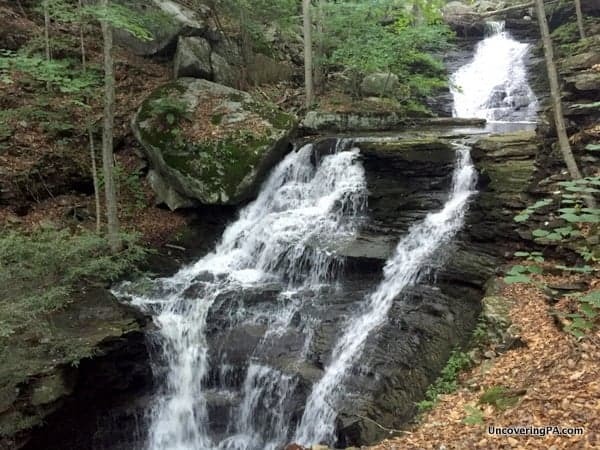 While there are certainly more difficult hikes in Pennsylvania, or even in the surrounding Loyalsock State Forest, this should only be considered appropriate for experienced hikers. Should something happen to you, there is a very real possibility that the next hikers might not show up for a few days. Always make sure that someone at home knows where you are and that you know your limits. The parking area for Miners Run is at the first bridge you’ll come to on Rock Run Road. For those looking for other adventures in the surrounding area, Rock Run is considered by many to be the most beautiful creek in Pennsylvania. 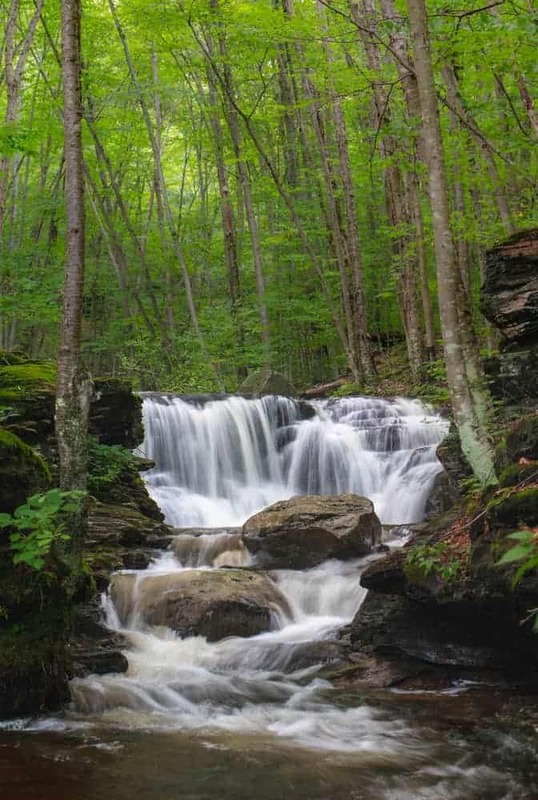 There are also waterfalls on many of the surrounding creeks, including Hounds Run, Yellow Dog Run, Dutchmans Run, Rock Run, as well as Jacoby Hollow Run and Sand Run Falls which are a short drive away. Truthfully, I’ve been to many amazing waterfalls in Pennsylvania, but the hike up Miners Run has been one of my favorites. I can’t wait to visit this waterfall again and to explore more of the surrounding area. Love this place Jim! Thanks for the great blog. Have you been there lately? I haven’t been there since May ’13 when they were trying to frack the place. Definitely my favorite place in PA.
It’s a great area, Michael. These photos are from my visit in July, and I didn’t see any evidence of mining in the area. Drove through again a couple of weeks ago, and it still looks nice. Hopefully it stays that way. 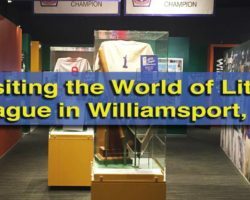 Being a Bradford County native with family living in Bradford, Lycoming, Sullivan, and Tioga Counties, I really enjoy seeing articles depicting the history and beauty of the region. Might I suggest you try the climb to Cedar Ledge near Canton, Pennsylvania when you get an opportunity? 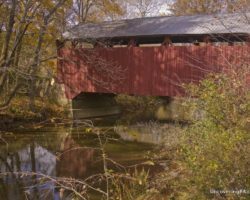 I no longer live in Pennsylvania, and when I tell people I am from rural Pennsylvania they are surprised–they only think of Pennsylvania’s urban areas. 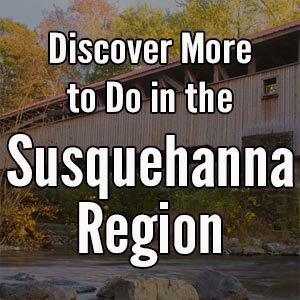 It’s great that you are exploring and blogging about rural Pennsylvania, and I look forward to more posts from you. Thanks for the suggestion, Lynne. I’ll certainly look into it and keep it in mind for the next time I’m in the area. Read with interest your info on Miner’s Run. I plan to go there this spring. Wondering, is there any reason not to hike up the right hand trail and then photo as one goes down the steam bed? I personally find it a lot easier to hike up the steep sides of the stream than down. Other than that, the big issue is finding the trail. It’s much easier to locate at the top of the run than it is by the road. Should you be able to find it, it would just be personal preference at that point.